Suzuki started to clean up the watersides in Japan, 2010. The following year, the Suzuki Marine distributors all over the world followed in our steps, spreading the activity globally. In 2018, which marks our 8th year, we have had 12 areas in Japan and 17 countries participating in this campaign. 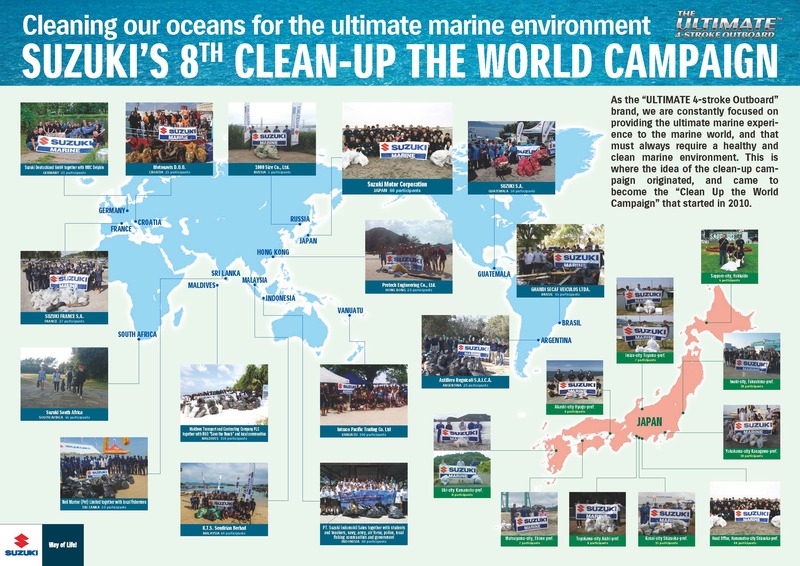 In Japan, Suzuki held the Clean-up campaign on the 27th of October in Nakatajima which had 66 participants. Recently, the World Clean-up Campaign was registered and added on the official website of the “Plastic Smart Campaign”, a campaign aimed to reduce ‘Marine Plastic Garbage’ which is promoted by the Ministry of the Environment.